LITTLE ROCK – As a taxpayer, it’s only natural to want to know how that money is spent. 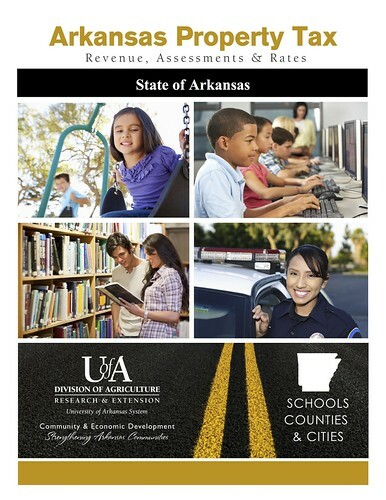 The University of Arkansas System Division of Agriculture offers up-to-date information on the property tax, including revenue, assessments and rates, all available online. Updated publications showing the sources and beneficiaries of property tax revenue are now available, for all 75 Arkansas counties and the state, at https://www.uaex.edu/business-communities/government-policy/local-government-finance.aspx. The publications also provide information on property assessments, property tax rates (millage) and the property tax burden compared among counties and to other states in the nation. Visitors to the site can see the sources and beneficiaries of property tax revenue in their respective counties, compare their local property tax rate (millage) with those in neighboring counties, compare the property tax burden among Arkansas counties with other states in the nation and more, said Wayne Miller, professor and extension economist for the Division of Agriculture. According to key findings from the Division of Agriculture’s Community and Economic Development Department’s most recent publication, property tax revenue generated $2.3 billion statewide for county and city governments and school districts in 2016. Seventy-seven percent ($1.7 billion) of this revenue went to school districts, covering about 32 percent of their revenue for the 2015-2016 school year. Counties received 15 percent of property tax revenue, and cities received the remaining 8 percent. Despite the importance of property tax revenue to local governments, the property tax burden placed upon Arkansans was relatively low compared to other states in 2014, according to the report. The state’s $672 per capita property tax revenue is the third-lowest in the nation; the 1.8 percent share of personal income typically collected by the property tax in the state is the fourth-lowest. To learn about resources and programs available to improve the quality of life in your community, contact your local Cooperative Extension Service agent or visit www.uaex.edu.